The Darwin Correspondence Project was founded in 1974 by an American scholar, Frederick Burkhardt, with the help of Sydney Smith, a zoologist in the University of Cambridge (UK), and of Fred's wife, Anne Schlabach Burkhardt. They set out to locate all letters written by Charles Darwin (1809-82), the most celebrated naturalist of the nineteenth century, and originally aimed to publish only summaries. Following a pilot project it was decided to include letters written to Darwin as well as those written by him – an unusual step for a collection of correspondence at the time, and one now widely followed – and to publish complete transcripts in chronological order. 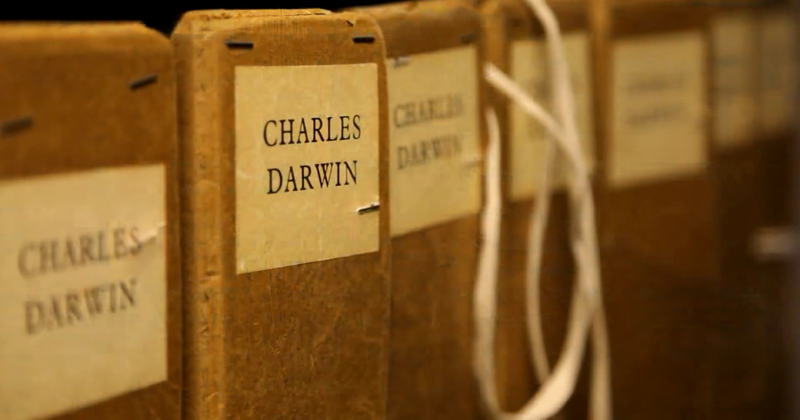 Since 1975, the Project has had a staff of researchers and editors in both the UK and US, those in the UK being based in Cambridge University Library where the largest single collection of Darwin’s manuscripts is housed together with his own library of books and journals. Until 2009, most staff in the US were volunteers working out of Fred and Anne's home in Bennington, Vermont, but from 2009 to 2013 there was also a group of research associates and assistants based at Harvard. The Darwin Archive in Cambridge includes around 9000 letters. It took ten years to carry out a systematic search for additional material, to obtain copies, and to transcribe all known letters into an electronic format. This resulted in the creation of the extensive electronic archive which now forms the basis for the editorial work that results in both the printed volumes of The correspondence of Charles Darwin, and the resources on this website. Before any other work could be undertaken the letters had to be provisionally dated – less than half have the full date written on them by the sender – and the identification of unknown correspondents attempted. More than 15,000 letters exchanged with nearly 2000 correspondents around the world between 1821 and Darwin's death in 1882 have been located in libraries and in private collections. New letters continue to be discovered, and the Project is now engaged in an active hunt for others so that the corpus will be as comprehensive as possible by the time the print edition is complete in 2022.